I am writing a post because I received a Google notification about a site that was offering my clipart images as free downloads directly from their site. My goal with this post is to help make caution you about sites like these - as there are probably hundreds or even thousands out there - and to show you how you too can set up to receive Google notifications for information posted about you when it is published online. Below is a screenshot of the notification I received in my inbox. I would not have received a notification had the guilty site not mentioned my name in the title. When I visited the site, I found that even more of my images were being offered as free digital downloads directly from the site and did not even include my name. I will include the site address at the end of this post for those of you who would like to check to see if your art is also being given away for free. Because the site is very difficult to search through. I conducted an advanced Google search to look specifically for the images that were hosted on the site. I then completed the fields for "all these words" and "site or domain"
Once those two fields were filled in, I clicked on the blue button titled, Advanced Search. Once I did, all of the images from the site appeared in the browser. If you scroll over an image, you will see that the image is linked to the site that I typed into the advanced search options above. The image below shows the address where the image has been published. The image itself clearly does not belong to the site. 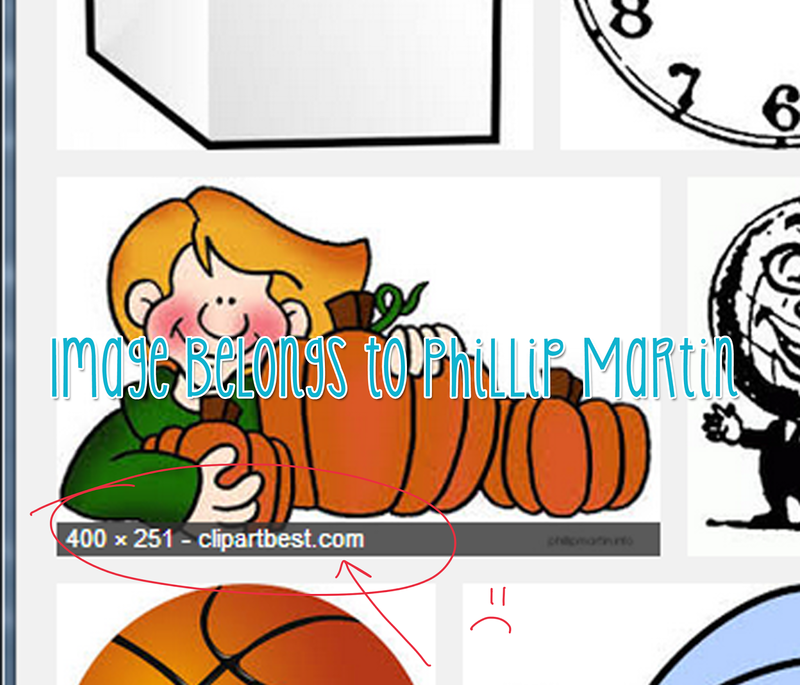 I used Phillip Martin's image because he is very popular and quite well-known among teachers. I added the text on the screenshot. Because this site was offering free images from artists I am quite familiar with, I decided to notify a few of the artists about the site. I then send a cease and desist letter to the site through their "contact us" link for all of the images I found that were mine. Because the site did not include any information about who owns the site, I decided to look up the domain information to try and identify the site owner in order to contact the person directly. You can contact the site protecting the information directly. I looked up WhoisGuard, inc and eventually found the following link http://suespammers.net/tag/whoisguard-review/. It took me less than a minute to find a way to contact this company. I clicked on the "contact" link located at the top of the page and completed the form. I included as much information as possible, but failed to include the actual link to the site I was wanting them to look into. I did this to ensure that the company would contact me back and ask. I figured that if they did not email me to ask me for the site address I was referring to, then I would need to take further action elsewhere. No need.. they responded to my message two hours after I submitted it. They requested the site address. I not only included the site address, but I also included all of the domain information I found on the site. I also included a list of the artists and/or companies I contacted to let them know that the site was offering instant downloads of their images for free from their site, and mostly without a link or credit to the artist of the image. and many more from Teachers Pay Teachers. Some of the clipart being offered could be found on the web for free and other items were paid clipart sets. Click the image below to visit their contact page to open a ticket or to email them with your concerns about the domain listed at the bottom of this post. Infos : Digital Ocean, Inc.
You might also choose to contact the abuse email at the same time. That email is included in the information I just listed above. For those of you who may have already downloaded images from the site OR are still thinking about downloading images from the site, there are some very important things you should be aware. FIRST: If a website is offering FREE downloads of various images without including a fee or license information, chances are, they are violating copyright and you should not proceed to download anything from the site. Instead, immediately report the site as copyright infringement or notify familiar artists they their work is being offered from the site and include the link. Please do NOT download anything from this site or sites like it. Value the hard work of the original artist and your own integrity by refusing to bring traffic or contributing to the site by downloading the images. Type the word, title or name that you would like to receive notifications for in the space provided next to the field titled, Search query. It is best to use only one word or title at a time. You can create several alerts. Choose the options and type your email address at the bottom. Click on the button titled, "Create Alert" once you have completed the form and follow any other prompted directions to complete the process. You might need to log into your Google account or you might be asked whether you want to receive alerts through your phone. Because I absolutely refuse to include a link to this site, I have included an image with the domain name. You can type the site address manually if you wish to visit the site. I will continue to update all of you on the progress and information pertaining to the progress of this issue. Thank you very much for visiting and I hope you gained a little more knowledge about copyright infringement and how to report copyright infringement online. 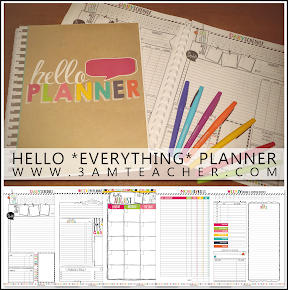 I would love to read your thoughts, input, or information you might be able to add to this... we can never have too much knowledge!! WOW-it's definitely not fun seeing your work being handed out without your permission. I am happy to hear you knew the steps to take to get to the bottom of it. Thanks for sharing this information!! Thank you so much!! Whenever I see anyone's work copied or misused, I take it so personally. There is so much work and time that goes into every single image and I respect each artists' work as I do my own. It is so nice to be valued as an artist, so thank you!! Way to go! Keep us informed as to how this turns out! That's just awful! I'm so sorry this happened to you and the other artists. I know what it takes to work hard in something and get frustrated when someone doesn't appreciate it, but stealing it takes it to another level!! I will never go to this site. Thanks for the heads up! Thank you so very much for the support!! I know how tempting it is to see the words, "FREE" and "Clipart" and NOT find yourself in a clipart download frenzy..haha.. It is understandable. Many of the images ARE in fact free, and can be found on the artists' websites, blogs, or shops. It is better to go directly to the source than to risk using art in your materials that might not be okay to use. Thank you again!! Yikes! That's terrible! Good for you for taking a stand and helping others out too! Hope you can get them removed from the site! If we truly value each other's work, talent, and families, then we have to help one another and we have to fight back whenever we can. I actually do not make an effort to search for copyright infringement because I know I will find it. I try to just deal with the things I am faced with when they occur - even if it is not my art. I have so much respect for the other artists out there that are truly working hard, not copying other work, and providing great images for teachers around the world. I would never want that to stop, but I have had so many conversations with artists who get discouraged enough to feel like quitting when their work is copied or misused. There are a few artists that have to deal with these situations on a weekly basis and I have no idea how they are able to stand their ground. I have been very fortunate and not much of my work has been copied or given away for free (that I know of..haha), but I still take all offenses personally. Thank you so much for taking the time to send your support!! Very true! People can be quite scummy and just brush off the fact that they are stealing! It definitely makes the $30 worthwhile to officially copyright your material! Good to know as I start my clip-art journey. As of May 1st 2014, there will be new fees and the cost will go up slightly. I believe it will be $35.00. You are such a computer whiz, I didn't know how to do most of the things you mentioned! Thanks for the important info, and good luck with your copyright battle! HA!! It really was just finding the right information and knowing where to look. Thanks for the support girly!! I'm so sorry this is happening to you and other amazing, talented artists! It is such a shame to see sites like this, however you are definitely doing the right thing by letting everyone know and contacting other artists! Thank you for taking the time to post this detailed information also, as I'm sure you have spent so much time battling this already. I hope they are able to resolve this immediately and get the images taken down! Thank you so much, Kacie!! Surprisingly, there are so many sites like this online and if I can help bring down even one, I will feel a little better. I also thought it was very important for everyone who uses clipart to know what to look for when they see a free clipart site - before they choose to download the images. If so many Americans did not purchase illegal drugs, then we wouldn't have drug wars and if people stop downloading free resources from illegal sites, then artists would proably be doing much better supporting their families. These free sites do not make money from the downloads, but instead, they make a great deal of money from the traffic, Google page ranks, and advertising monies. The more people that visit and download from the site, the higher their page rank becomes and the more money they will get from ad revenue. They really do not care that the art is not theirs and they are hurting the businesses of real people who are working hard. By spreading awareness, people will have to make a conscious decision to steal or do the right thing. Thank you so much for the support!! It is sad, but, as you mentioned, there are several sites like that. I hope you get your images out of that site. I am leaving the link to your post in my site, even though it is not a "freebie". I know, but I would much rather fight back than to sit back and watch artists suffer. Thank you so much for the support and spreading the awareness. Always good to see someone taking action!!!! Good for you for standing up for your amazing work! Thanks so much for sharing this info! I went to the website to see if any of my work was on there, and I could not search any of the images. Either I am having computer issues (which is possible), or they have taken them all down. I am going to be a rose colored glasses type of gal and hope it is the latter.